Hey Friends! 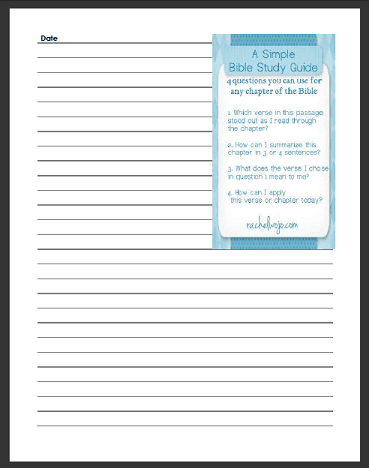 Last week a reader emailed and requested information regarding a popular post from last year titled, “A Simple Bible Study Guide.” One of our other readers had loved the post so much she created a bookmark and we made it available as a free printable for all readers to use. 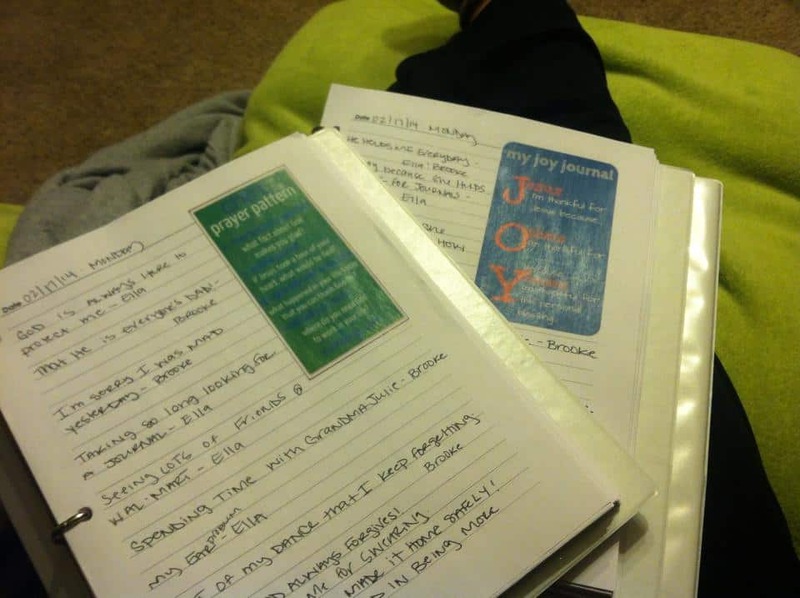 While it’s been an incredible tool for the last year, the new reader I mentioned above was requesting a journal page like we have for the Prayer Journal and Joy Journal. So we decided to give a mini-facelift to a simple Bible study guide bookmark and add a journal page printable for it as well. Thank you so much, Steph, for sharing this photo with our community!! 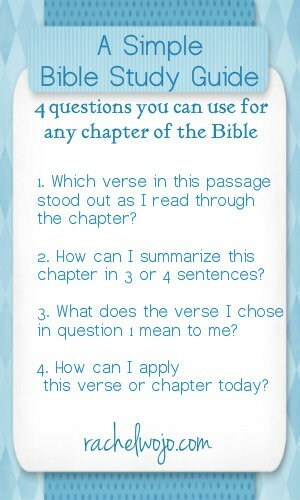 Here is “A Simple Bible Study Guide” bookmark with 4 questions you can use for any chapter of the Bible. Click on the graphic above or HERE to download a pdf and print 4 bookmarks on one 8.5×11 sheet of cardstock. Click HERE or on the graphic above and the journal page .PDF will open to print. I hope you enjoy these tools and thank you so much for sending me your ideas and requests. I love our community of readers because you are so inspiring with the way you seek the Lord and love on others! Thank you Rachel for the free prints. I love them. They give me a better incentive to study when I have these pages and bookmarks in my bible. I enjoy your blog. I found your website a few months ago and wanted to say THANK YOU for such a wonderful gift of encouragement, ministry ideas, and practical printables and suggestions to use in my own quiet time. You and your site have been a source of refreshment for me! Thank you so much for your kindness, Tonya! You are a blessing to me through your words. May the Lord bless you greatly.